What Are the Baking Times for Different Sized Cake Pans? Most batters for 2-layer cakes will fit in the below pans. To ensure even baking, be sure to fill the pans up only halfway--any more than that, and you run the risk of having the batter overflow the pan. For any leftover cake batter, either refrigerate and use within 2 days or make cupcakes with the excess batter, If you choose to make cupcakes, be sure to fill the empty cupcake holders halfway with water. Be sure to read the recipe thoroughly before preheating your oven. The baking powder you thought you had may have "magically" turned into baking soda or visa versa. Properly understanding the recipe before you begin will go a long way toward ensuring baking success! Measure your ingredients carefully. Baking a good cake depends on the right chemical reactions. It's not like a stir-fry; you can't just throw in any dry ingredient or add too much liquid unless you're looking for a cake disaster. Nothing ruins a pretty cake more than half of it sticking to the pan. Be sure to grease and flour the pan according to the recipe directions, but what if your cake DOES stick to the pan? If it's only messed up in a few places, then you can use frosting to cover up any mistakes. Otherwise, turn it into a trifle! Shiny metal pans and dark metal pans cook differently. Dark pans cook the outsides of the cake faster than the shiny ones do. Know your pans, and adjust accordingly: turn the oven down 25 F when using a dark metal pan. Keep 'em separated! Don't allow the baking pans to touch each other or the walls of the oven. Those parts of the pan might cook faster due to the extra heat. 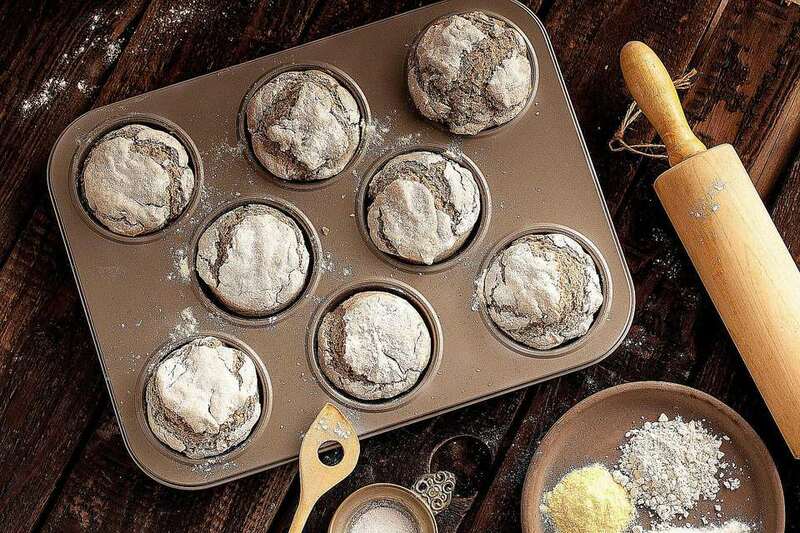 For the best results, make sure you have enough space in your oven to bake the cakes without touching anything. Cooling the cake completely makes it easier to frost. The longer the cake is allowed to sit, the less likely cake crumbs will be come up while frosting. A cold cake holds together even better, so feel free to wrap the cake in plastic wrap and pop it in the freezer for 30 to 45 minutes before frosting. If you want to torte the cake (slice the cake layer horizontally), use toothpicks to mark the middle the cake. Use a long serrated knife to slice through the center. Another way to divide the cake into two layers is to take a very long piece of dental floss and pull it through. Refrigerate the cake layer first to make it a bit stiff. Store the cake according to the recipe directions. Cakes made with whipped cream or frosting with butter should be refrigerated. Just keep in mind that refrigerated cakes tend to dry out, so eat them within a few days. The prettiest way to store a cake is in a glass cake container that sits on the kitchen counter. Cake layers freeze beautifully. Wrap each layer in plastic wrap. Next, place the cake layer or layers in resealable freezer bags. The un-frosted layers will maintain their flavor for at least 3 months. If you decide to freeze an already frosted cake, place it in the freezer on a foil-lined baking sheet. Freeze it for at least 8 hours or overnight. Once it's frozen hard, wrap it in plastic wrap. Place the wrapped cake into a freezer bag or a container.